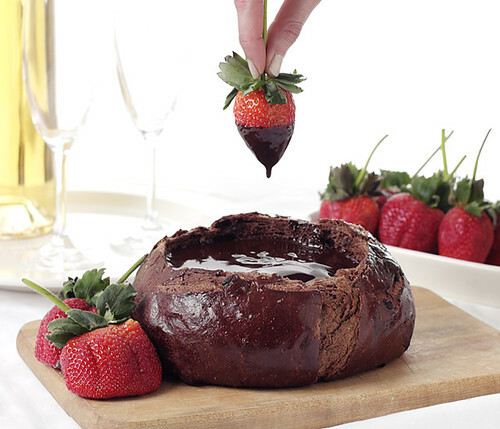 Yes, this Dark Chocolate fondue is good for you...in moderation and shared with others! Even if you’ve heard the news about chocolate and heart-health before, it still sounds almost too good to be true, right? Halloween is near, and as our collective thoughts turn to sweets, it’s nice to know there are sweet treats out there that can also boost health. Adding chocolate to your diet must be done isocalorically (a fancy way of saying, “without increasing how many calories you eat for the entire day”). Choose dark chocolate (sorry, but the milk, sugar, and other fats in some varieties cancel out possible benefits). Now that that’s out of the way, on the to the good stuff…. 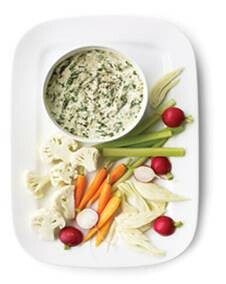 Entertain with ease by making a quick dip of Fromage blanc, Quark or goat cheese with herbs. There are many times when I realize I love my job. Sometimes it’s when a co-worker will offer me a cupcake (or two) to try. Other times it’s when I get to interview food enthusiasts like Top Chef Masters winner Floyd Cardoz. Recently it was when work involved trying lots and lots of delicious cheeses, butters and other products from Vermont Butter & Cheese Creamery. Cheesemaker Adeline Druart walked us through all of the tasty products whose ingredients are sourced from local family farms. I thoroughly enjoyed learning about these artisanal dairy products crafted in the European style. Brighten up a rainy day with comforting macaroni and cheese. Rain, rain, go away! Are you stuck inside because dark clouds are suggesting that a summer thunderstorm is coming your way? When it’s rainy outside, I love to hide indoors with my loved ones, watch a movie or play board games and nosh on comfort foods. What are you favorite rainy day recipes? Let us know on the FreshDirect Facebook page or via Twitter (@FreshDirect). I can’t wait for my meal to end. 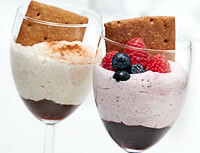 I don’t want my guests to leave — I just want dessert. Serve up prime rib and my mind is craving cookies. Give me baked potatoes and I’m daydreaming about créme brulee. In fact, if I could skip the entire meal and munch my way from muffins to pound cake, I would be in heaven. But some people, (my husband and son) actually like eating the entire meal.